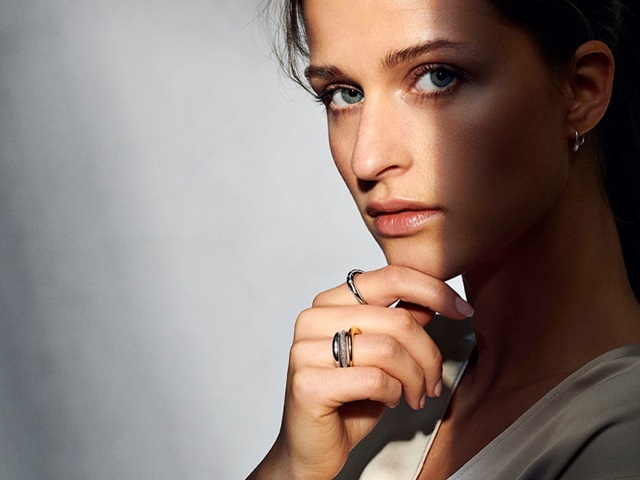 Georg Jensen has always stood for individuality and for decades has had a strong heritage of creating jewellery pieces that are designed to be combined. The jewellery allows the wearer to express their personality and create a unique expression. The jewellery can be worn as the owner desires, depending on her styling, mood or the occasion. If you feel like it, break the ‘ultimate’ rule by combining gold with silver. After all, it’s all about the mix! INFINITY, Earhoops and Cufflinks set in sterling silver. AURORA, Ring-set in rose and yellow gold with brilliant cut diamonds.